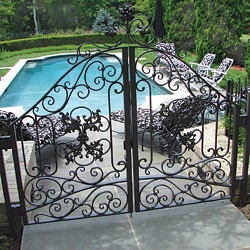 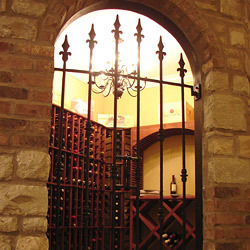 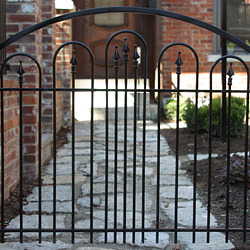 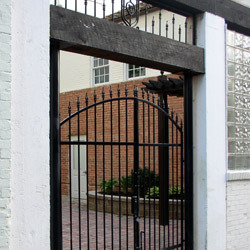 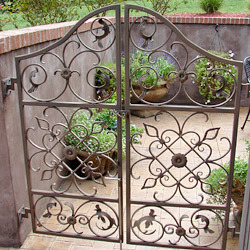 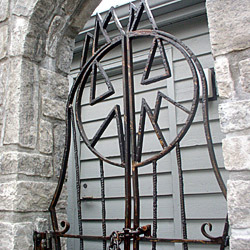 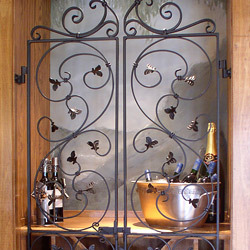 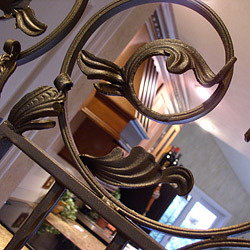 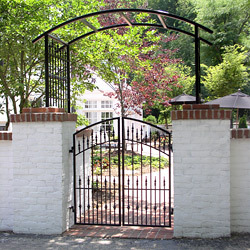 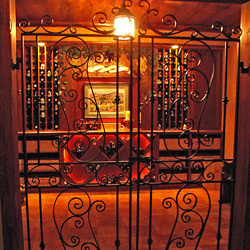 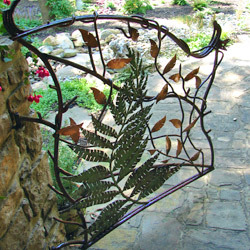 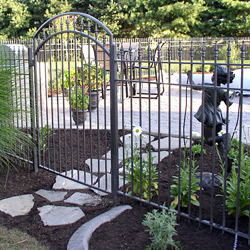 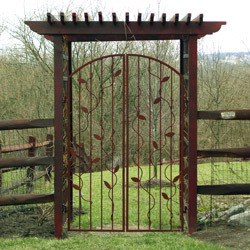 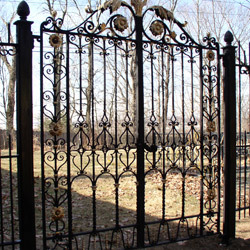 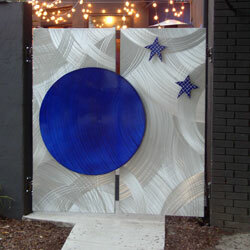 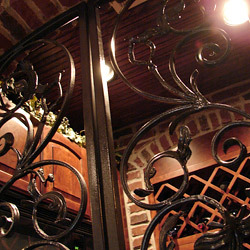 OUR CUSTOM GATES can add pleasant design to the wine cellar or quaint charm to the garden. 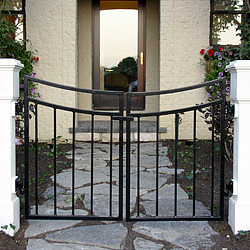 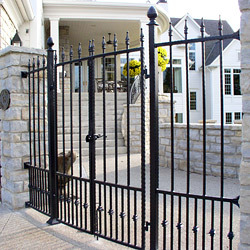 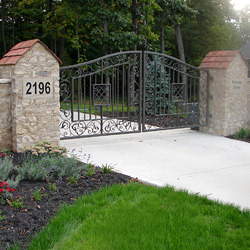 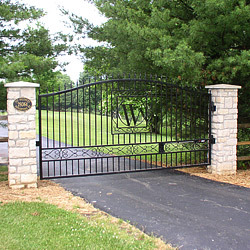 At the drive, our custom iron entry gates will add both sophisticated presence and security to your property. 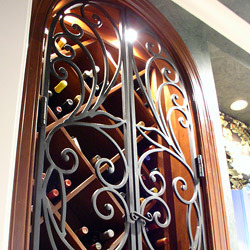 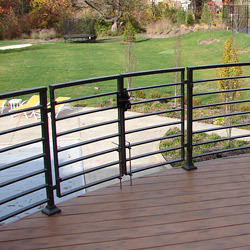 We incorporate the highest quality components including barrel style hinges and stainless steel drop and latch pins. 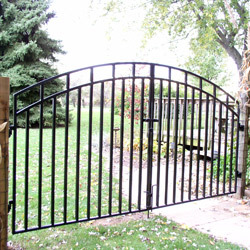 We give special attention to our methods of posting to provide long lasting satisfaction and our automatic operator options provide commercial quality reliability and high-tech compatibility with telephone, cellular and internet connections.